We are back this month for some fantastic science, given by fantastic science speakers. We are also adding a brand new feature to science cafe of a fun half-time quiz, with a prize! The event begins at 18:30 at Porters Bar and will go on until around 20:00, but with time to hang out and chat afterwards. 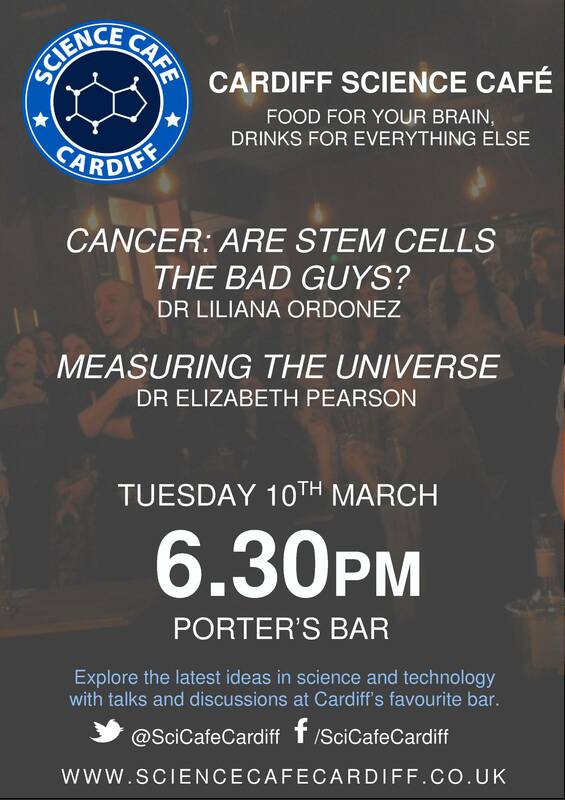 You can check us out and get more information on our *NEW* Facebook page (https://www.facebook.com/scicafecardiff) and on twitter (@SciCafeCardiff).